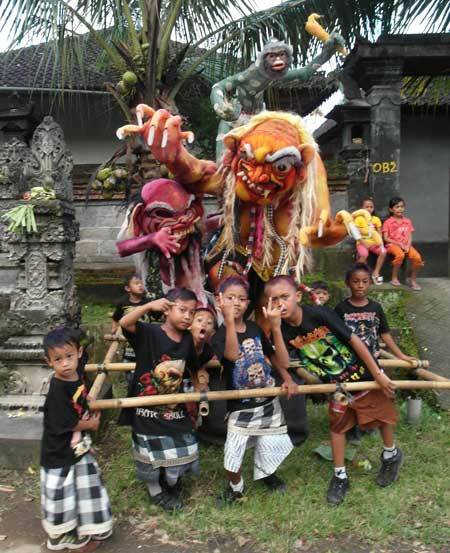 I spent Nyepi, the Hindu day of silence, in Bali. Things have quietened down a bit here, but earlier in the month prisoners in Kerobokan, the main jail, went on the rampage. Officially the riot was about overcrowding, though the trigger seems to have been some spat about drug dealing. It is old news that drugs are cheaper inside Indonesia’s jails than outside. But it is the link between drugs and overcrowding in jails that we need to be thinking about. At the start of this year there were over 143,500 prisoners and pre-trial detainees in Indonesia’s prisons and detention centres, according to a friend at the UN who follows these things. That’s in a system that has a capacity of 97,200, so that’s one and a half bodies in every bed. Some 21,500 of these prisoners are banged up just for using drugs, and almost the same number again for dealing them, very often in very small quantities. One person I know of in Jakarta occupied a cell for four years because he ferried 10 ecstasy pills across town. Four years for 10 pills, for God’s sake. Four years is the amount of time that Tommy Suharto spent in jail after being convicted of masterminding the murder of a High Court judge. My pill-carrying friend would have been clogging up a cell for seven years, but a judge reduced the sentence after he was paid US$ 40,000 to help him in his decision-making. In short, almost the whole of the overcrowding problem in Indonesia’s jails could be solved just by not giving people sentences for getting high or peddling small packets of drugs. In Kerobokan itself, over half the pre-riot population was in on drug charges. A lot of the guys (and they are mostly guys) in jail have not even been sentenced: over 51,000 are being held before being tried. This, according to friends who have been there, done that, is sometimes a money-making ploy on the part of the cops. They pick people up for drug use (or other minor “crimes”), then negotiate a pricey release before a formal sentencing. The high proportion of unconvicted prisoners also reminds us that the courts are at least as overcrowded as the jails. But again, if we weren’t taking up judges’ time processing people for getting high, that problem might be more easily solved, too. In an informal meeting with groups interested in providing health services in jail, Justice and Human Rights Minister Amir Syamsuddin recently questioned the wisdom of prosecuting people for use and possession of small quantities of drugs. He should be encouraged to support a more rational approach to drug use. Aside: The photo above is of a group of Balinese louts-in-training getting ready to carry an “oga-oga” around their village on the eve of the Nyepi festival. These representations of evil spirits are paraded to the village limits, then burned in a ritual that is supposed to cleanse the community of evil before the start of the New Year. Let’s hope it works, and that none of these lads wind up in Kerobokan. For more on that infamous jail, check out Kathryn Bonella’s “Hotel Kerobokan”. 1 Comment on "What drugs are they on? Madness in Indonesia’s jails"
I also think there is less of an infrastructure to help people over there if they do get into trouble with funny substances. So in a way I am a fan of the hardline approach. It may be better than the compromises made in the US for example – but long term, I think legalisation is the way to go. In sum, I am conflicted!